Karen Allen is Chief Financial Officer of the Humphreys Capital. Karen is a member of the American Institute of Certified Public Accountants and Oklahoma Society of Certified Public Accountants. For more than 30 years, Karen was associated with Peters & Chandler, P.C. certified public accountants in Oklahoma City, where she served as a senior partner for many years. She is a past president and director of the Oklahoma City Estate Planning Council, past chair of the OSCPA Tax Committee, and she has served on numerous sub-committees on legislative tax reform. In addition to her vast experience, Karen has a longstanding working relationship with the Humphreys team. 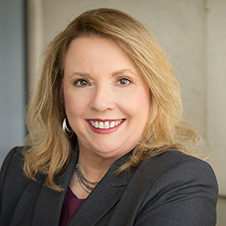 As a senior tax partner at Peters & Chandler, P.C., she processed tax returns and long-term tax planning for Humphreys Company and all of its partnerships for more than 20 years, and she has prepared the tax returns for Humphreys Capital since inception. Karen earned a Bachelor of Science in Accounting from the University of Central Oklahoma. She and her husband, Robert, have two grown children and live in Edmond, Oklahoma.